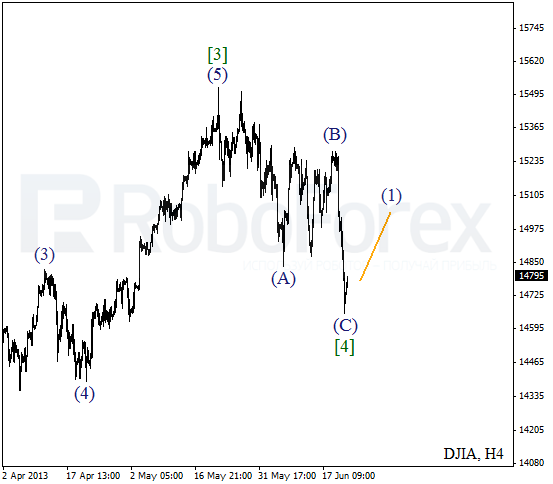 We may assume that the Index completed zigzag pattern inside wave . On the minor wave level, the price formed a descending impulse inside wave (C). We can’t exclude a possibility that right now the market is forming an initial ascending impulse. I’m planning to open some buy orders during a local correction. 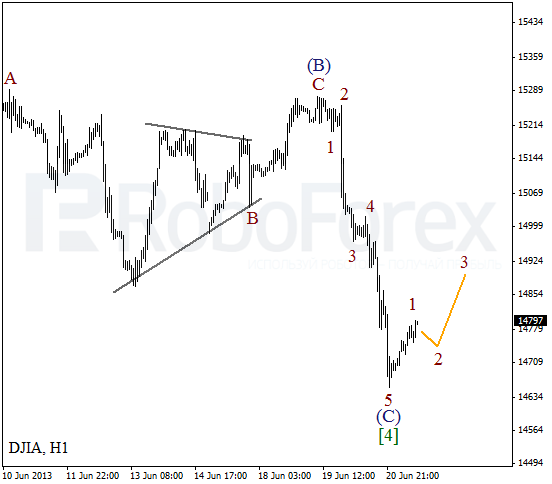 At the H1 chart we can see, that the Index finished an impulse inside wave (C) and then – a short initial ascending impulse. After completing a local correction, the instrument is expected to start moving upwards inside the third wave. 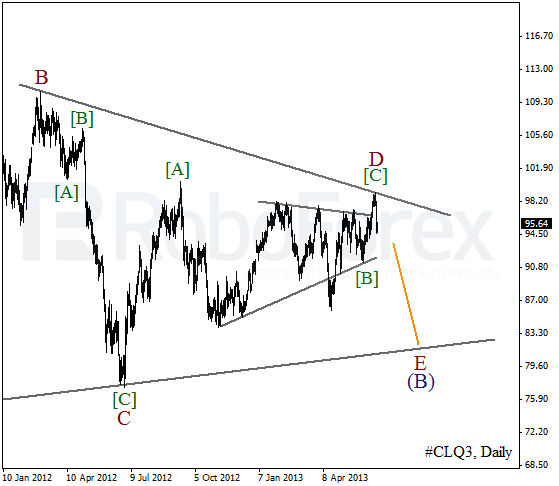 We can’t exclude a possibility that the price completed wave D in the form of zigzag pattern inside triangle(B). Oil is starting to fall down inside wave E; the instrument may form this wave for several month. More detailed wave structure is shown on the H1 chart. The instrument completed an ascending impulse inside wave [C] and then formed a bearish impulse inside wave (1). 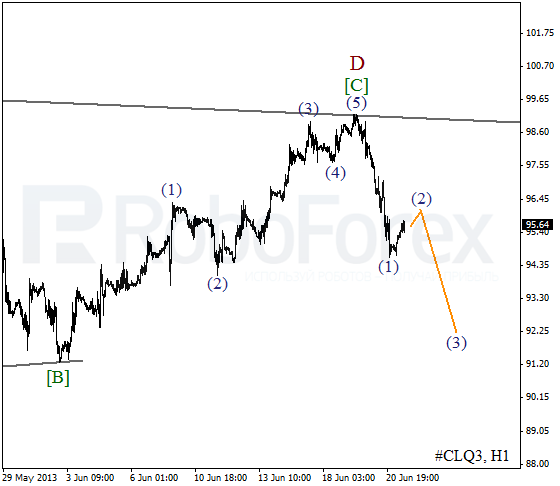 After completing the second wave, the price is expected to start moving downwards.